My name is Gina Sager, and I am a retired board-certified general surgeon, named one of Baltimore’s Top Docs in October 2000. I permanently left the practice of traditional Western medicine in May 2002 to explore my long time interest in holistic healing. I have studied and practiced Buddhism in the Tibetan tradition, studied the ancient wisdom traditions including Traditional Chinese wisdom and 5 element theory at Tai Sophia Institute (now MUIH), and completed my 200 hour yoga teacher training in Integrative Yoga Therapy at yama studio in June 2005. I just finished year 1 of the Eden Energy Medicine Foundations training in January 2018. I have completed several professional training courses with Jon Kabat-Zinn and colleagues at the University of Massachusetts Center for Mindfulness in Medicine, Health Care and Society. I have used the wisdom of Ayurveda for personal healing since 2000 and finished a 60 hour professional Ayurvedic Nutrition training course with internationally known teacher and author, Amadea Morningstar.I currently teach Healthy Cooking classes to cancer patients and their families at Upper Chesapeake Cancer LifeNet in Bel Air, MD. I have taught Mindfulness classes, yoga and yoga nidra in Baltimore, and Harford Counties since 2004, and teach weekly yoga classes at Upper Chesapeake Cancer LifeNet in Bel Air, MD and weekly Mindfulness Based Stress Reduction classes at Aquilino Cancer Center in Rockville, MD. I also lead bi-monthly silent retreats in Baltimore for current and past participants of my classes, and anyone interested in deepening their own practices. I have been on a lifelong journey to find and open my heart, and to heal physical, emotional and spiritual wounds. I strive to teach from my awakening heart and from my own personal experiences rather than simply sharing things I've learned intellectually. I find that my scientific background lends a new perspective to some of the more esoteric practices and I am delighted to share what I have learned with you to try on in your own life. Ultimately, it is my opinion that if the practices do not work for you in your own life, the science behind them is irrelevant. My hope is that you will experience my classes as a way to explore what brings you into your fullest most authentic self, and craft a practice that is most true for you. 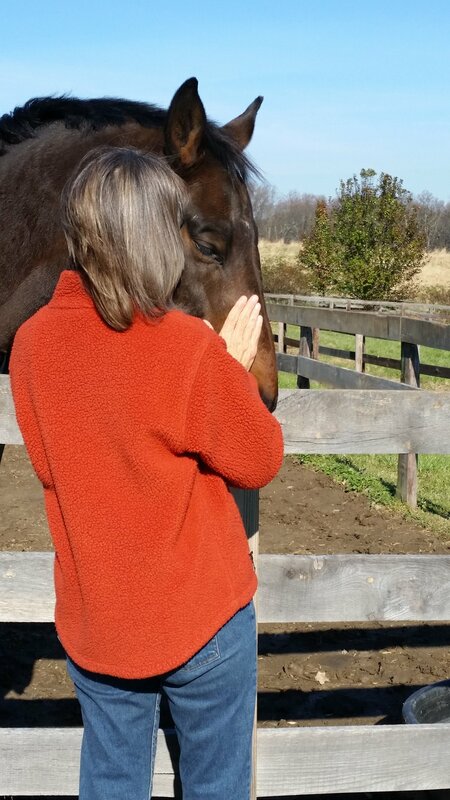 I've also recently had the gift of horses added to my life, and am reveling in their gentle demeanors, complete presence, deep patience and generosity. They are teaching me to hold more generous, sacred space for myself and others. I am deeply grateful for their wisdom. In Ayurveda, it is said that the best physician is one who teaches patients to care for themselves. In this spirit, I believe that my path is to share what I have learned on my transformative journey by offering others sacred space and the opportunity to reconnect with their own deepest nature, and learn to care for themselves using these ancient, holistic practices. Want a taste of my work?